2017 was a fantastic year for LumApps! In the course of our international expansion, we broke all of last year’s previous records. 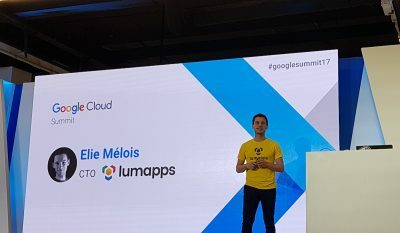 What’s more, we ended with two fantastic Google Cloud Summits in Paris and Munich. This is LumApps in Review, 2017 edition. 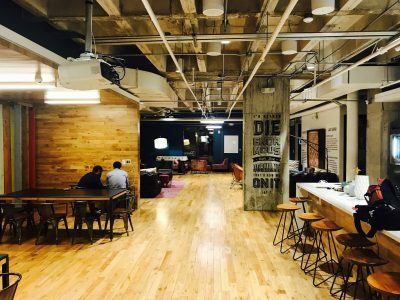 At LumApps, we had lofty goals for 2017. At the end of 2016, we’d only just opened new offices in New York, with the whole United States left to discover and explore. Over the course of 2017, we opened new US offices in San Francisco and Austin, adding over 20 people to our US team. We also opened an office in Tokyo as part of our expansion plans for JAPAC (Japan and Asia-Pacific territories). This has led us to double our company size in the process! We’ve also tripled our client base, signing household names such as Colgate-Palmolive, Global Payments, Logitech and TMX Group! Over the calendar year, LumApps revenue also grew by 250% and is forecast to rise some more in 2018! 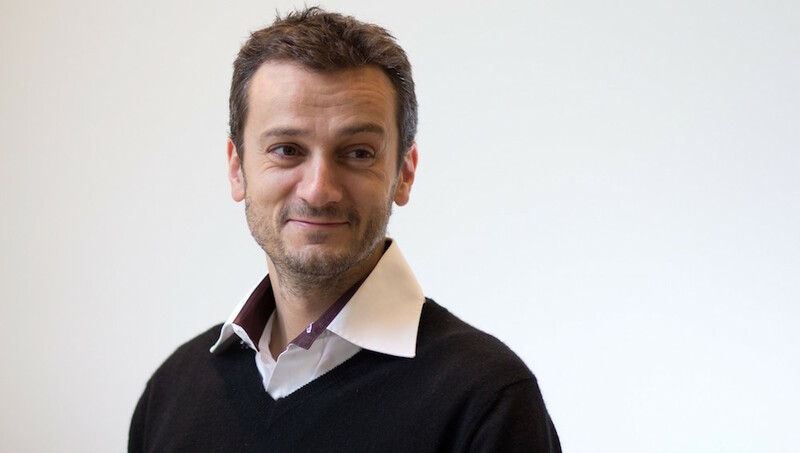 We also added a star player to our team, Renaud Perrier as our new CPO (Chief Product Officer). Over 2018, he will help the company grow while building and managing the product offering strategy. His goal is for LumApps to become the number one worldwide leader in Communication Platform, then in Digital Enterprise markets. Read more in our upcoming press release in January 2018! We joined Google on most of their events this year, starting strong with Google Next in San Francisco in April, where we received the Google Cloud Global Partner for Solution Innovation Award. Then, it was on to many international cities for more Google Cloud Next and Summits: London, Madrid, New York, Chicago, Tel Aviv, Toronto, Mexico City, Sao Paulo, Tokyo, Singapore, Sydney, etc. To finish, here are the last events we attended during the year: Paris and Munich. 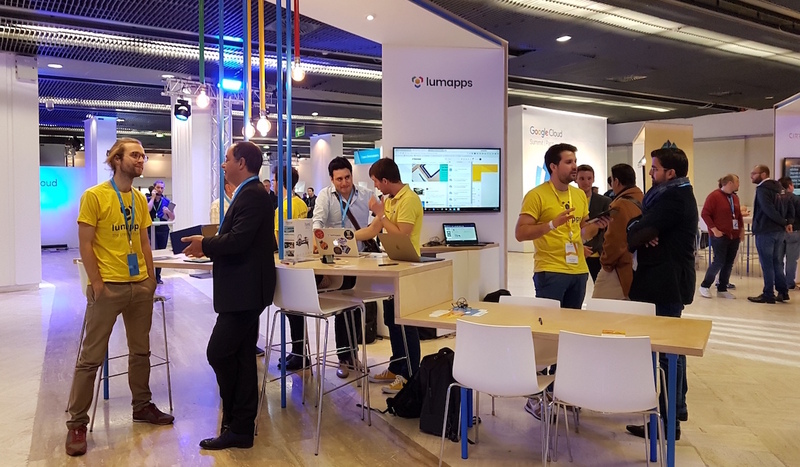 Held in the famous Palais des Congrès on October 19, Google Cloud Summit Paris was our penultimate Google event of 2017. For this return to home field, in a sense, LumApps showed up strong with around 10 French team members! Well-attended by professionals of all sectors, the Summit mixed general discourse with more technical conferences. The keynote address brought distinguished Google speakers to Paris, such as Sébastien Marotte, Sam Ramji, Ulku Rowe, Brad Calder, David Thacker, and Eric Haddad. Distinguished GCP clients La Redoute and Amadeus also offered their striking testimonials about finding success and driving growth with Google Cloud technology. 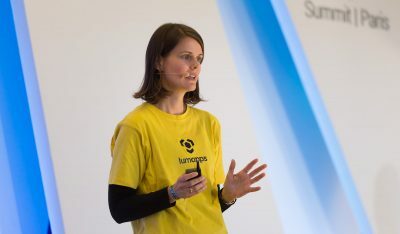 Our last Google event of the year was held in Munich, in the Internationales Congress Center. 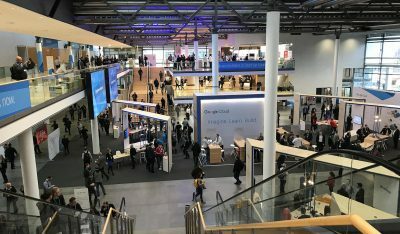 It was also the biggest cloud event in the Germany-Austria-Switzerland region, with speakers from national companies Deutsche Börse Group, BOTfriends, Viessmann and METRO AG. With mostly a GCP crowd, the event was the perfect opportunity to network with our local German partners Cloudwuerdig and Wabion! 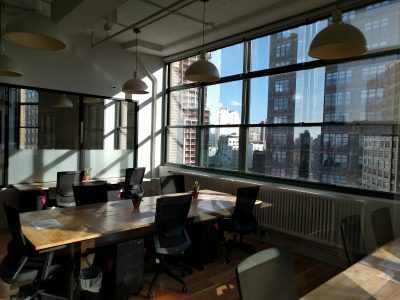 Get a sneak peek of our upcoming events Q1 2018!